Flat Six Aviation is a flying group located at Sapphire Aviation at Lee on Solent Airfield in Hampshire. It is a none equity flying group made up of like-minded pilots with good experience and looking to enjoy flying the Cirrus SR20 G3 aircraft. 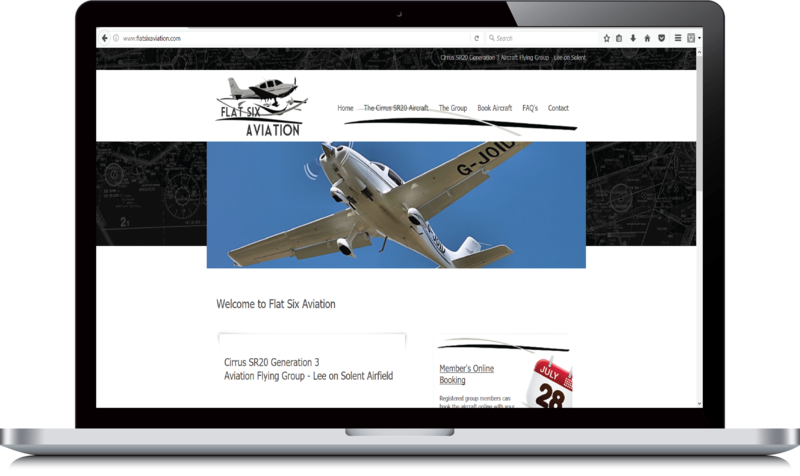 The project for Flat Six Aviation required us to design them a brand new company logo and website to attract potential new group members and provide them with all the information they need. The site is also intended for the group members with direct access to the aircraft online booking system. It also provides them with essential pilot information about the aircraft and the Lee on Solent Airfield and access to the MET office weather services.